Hello Friends In today's article, we are going to tell you Diwali is the most popular festival in India, it is celebrated by Hindus, Jains and Sikhs. 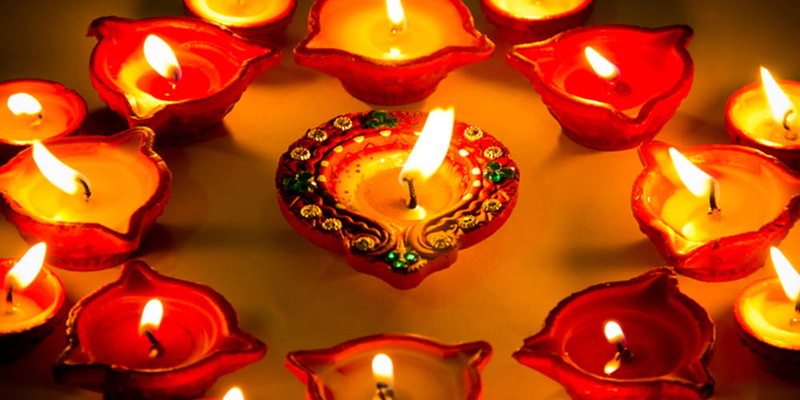 The date of Diwali celebration changes every year and it is always organized in the month of October or November according to the Indian calendar. This festival means 'line of light'. Diwali festival is happy when people buy new clothes and accessories for themselves and their family. Lakshmi incarnated on the new moon day (amaavasya) of the Kartik month during the churning of the sea (samudra-manthan), hence the association of Diwali with Lakshmi. 3. The Return of the Pandavas: According to the great epic 'Mahabharata', it was 'Kartik Amavashya' when the Pandavas appeared from their 12 years of exile as a result of their rights in the game of dice (gambling). The subject who loved the Pandavas celebrated the day by lighting the earthen lamps. 4. The Victory of Rama: According to the epic 'Ramayana', it was the new moon day of Kartik when Lord Ram, Ma Sita and Lakshman returned to Ayodhya after Ravana and conquering Lanka. The citizens of Ayodhya decorated the whole city with the earthen lamps and illuminated it like never before. 5.As the establishment of Arya Samaj - On this day, the founder of Arya Samaj, Maharshi Dayanand, took the expanses near Ajmer on Deepawali, becoming the great generator of Indian culture. Apart from this, during the reign of Mughal emperor Akbar, a large lamp is hung over 40 yards of high bamboos in front of the Daulat Khan. At the same time, during the time of Shah Alam II, the whole royal palace was decorated with lamps. On this occasion Both Hindus and Muslims used to celebrate the festival with joy and glee together. 6. Special Day for the Jain: Deepawali's day is of great importance in Jainism, Mahavir Tirthankar, considered to be the founder of modern Jainism also attained his resolve on Diwali day. 7. Special Day for the Sikhs: - On this day all the Sikhs are invited to receive their third Guru Amar Das's Arshivai. In 1577, this was the foundation stone of the Golden Temple, and in addition to 1619, on the day of Kartik Amavasya, Sixth Guru Hargobind Singh ji released from jail.